Pink stratus clouds are coming from the northeast at about 15 miles per hour (6.7 meters/second) at an appoximate height of ten miles (16 kilometers) above the surface. The clouds consist of water ice condensed on reddish dust particles suspended in the atmosphere. Clouds on Mars are sometimes localized and can sometimes cover entire regions, but have not yet been observed to cover the entire planet. The image was taken by the Imager for Mars Pathfinder (IMP) on Sol 16 about forty minutes before sunrise showing areas of 2the eastern Martian horizon. This is the first color image ever taken from the surface of Mars of an overcast sky. Featured are pink stratus clouds coming from the northeast at about 15 miles per hour (6.7 meters/second) at an appoximate height of ten miles (16 kilometers) above the surface. The clouds consist of water ice condensed on reddish dust particles suspended in the atmosphere. Clouds on Mars are sometimes localized and can sometimes cover entire regions, but have not yet been observed to cover the entire planet. 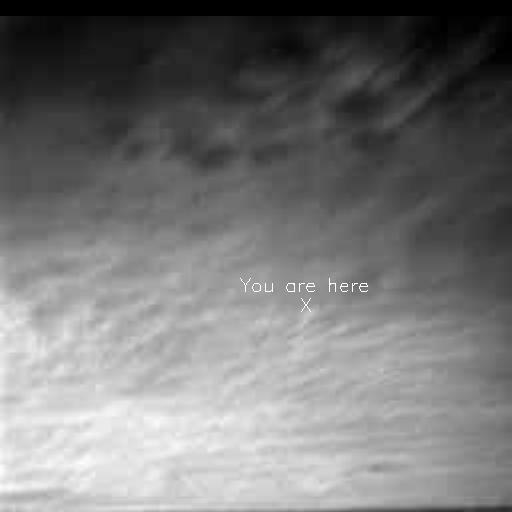 The image was taken about an hour and forty minutes before sunrise by the Imager for Mars Pathfinder (IMP) on Sol 16 at about ten degrees up from the eastern Martian horizon. 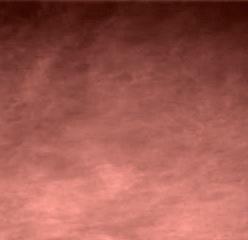 This is the first image ever taken from the surface of Mars of an overcast sky. Featured are stratus clouds coming from the northeast at about 15 miles per hour (6.7 meters/second) at an approximate height of ten miles (16 kilometers) above the surface. The "you are here" notation marks where Earth was situated in the sky at the time the image was taken. Scientists had hoped to see Earth in this image, but the cloudy conditions prevented a clear viewing. Similar images will be taken in the future with the hope of capturing a view of Earth. From Mars, Earth would appear as a tiny blue dot as a star would appear to an earthbound observer. Pathfinder's imaging system will not be able to resolve Earth's moon. 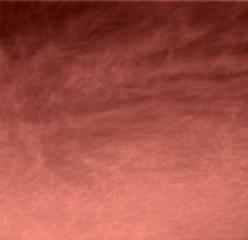 The clouds consist of water ice condensed on reddish dust particles suspended in the atmosphere. Clouds on Mars are sometimes localized and can sometimes cover entire regions, but have not yet been observed to cover the entire planet. 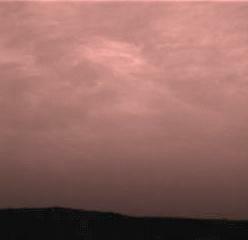 The image was taken about an hour and forty minutes before sunrise by the Imager for Mars Pathfinder (IMP) on Sol 16 at about ten degrees up from the eastern Martian horizon.